It is the Part of a great Politician to make the Character of his People; to extinguish among them, the Follies and Vices that he sees, and to create in them the Virtues and Abilities which he sees wanting. I wish I was sure that America has one such Politician, but I fear she has not. As timely in 2016 as in 1776. So is voter outrage a constructive force or an irrational threat? My guess is that how we each answer that question will stem more from our personal philosophies and understanding of human nature than from a purported objective assessment of the current political landscape. I know that that is the case with me. When I think about today’s angry climate, my mind turns automatically to the New Testament admonition to be “slow to wrath, for the wrath of man does not produce the righteousness of God” (James 1:19-20). I think Scripture teaches that anger can be righteous, but in our fallenness it rarely is. Is the anger that we feel a righteous wrath against injustice, an expression of our zeal for the Lord and our love for His creation? Or does it stem from other recesses of the heart? I can’t say dogmatically, but surely this is the most important question we need to ask about it. As a historian, I find myself wondering if there’s a careful study that puts voter anger in historical context. (There may well be; I welcome your recommendations if you know of any.) It would be interesting to see how 2016 compares in the intensity of voter outrage, and also enlightening to see what concrete results have followed in other times and places marked by strong voter discontent. As I do every fall, I’m currently teaching a survey of American History up through the Civil War, and it occurs to me that the case can be made that the United States was born in an outburst of indignation. I say this because my class and I just got finished discussing Thomas Paine’s Common Sense, surely the most influential single work of political propaganda in our history. Pay no attention to the pamphlet’s title. 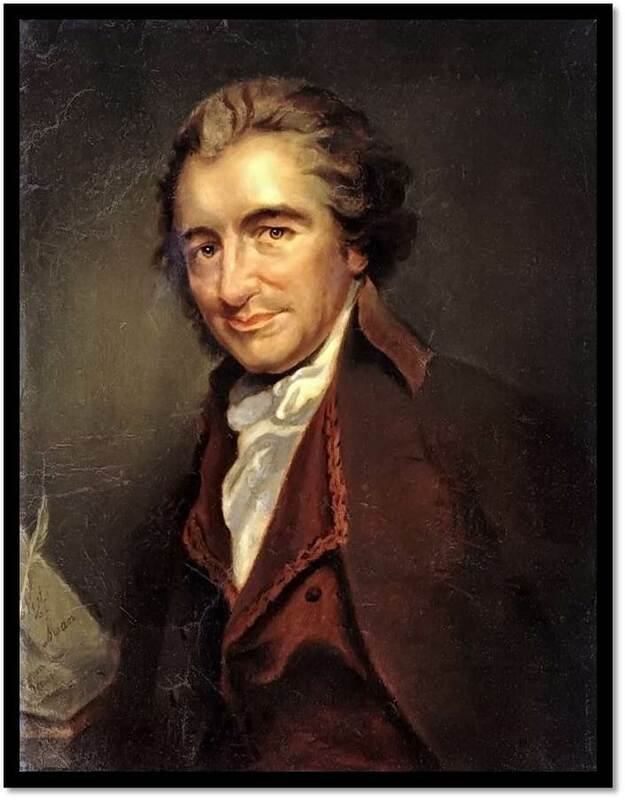 It was Paine’s anger—not his reasoned argument—that made Common Sense an overnight sensation. Thomas Pain (he added the “e” to his name later) only arrived in America in 1774, less than a year before the first blood was shed on Lexington Green to mark the onset of the American Revolutionary War. Thirty-seven years old, his life to this point had been marked by failure. The son of a corset-maker in the village of Thetford, England, he had followed in his father’s footsteps, being apprenticed to a stay-maker at age thirteen and spending the next twelve years of his life making whalebone ribbing for women’s corsets. Dissatisfied with this life (wonder why? ), at age twenty-five he left his skilled craft to become, at various times, a tax collector, a schoolteacher, and the proprietor of a tobacco shop. By 1774, his business was bankrupt, he was separated from his wife, and his life was in shambles. 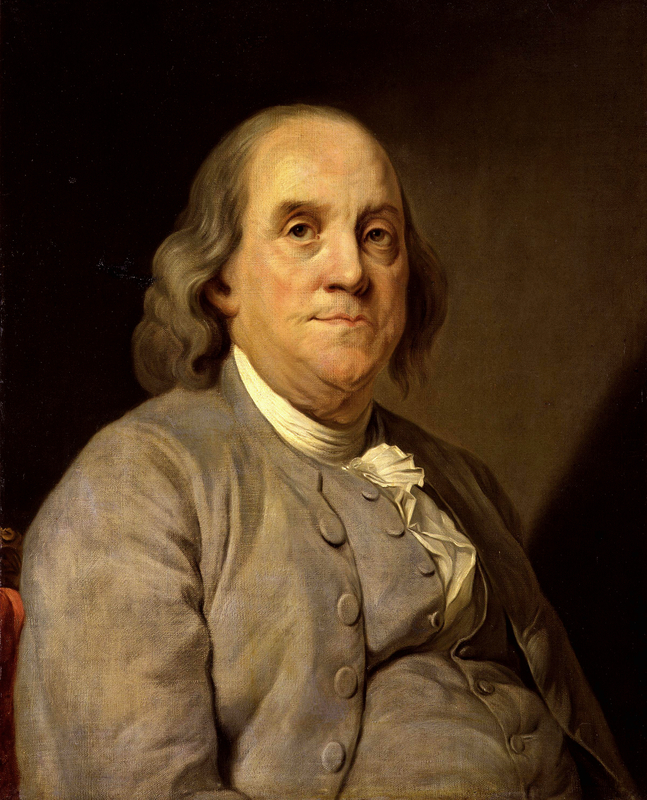 With a letter of introduction from Benjamin Franklin, he set sail for the colonies to start life anew as a writer for the Pennsylvania Magazine. If prominent Founders John Witherspoon and Benjamin Rush are to be trusted, Paine’s first anonymous essays actually condemned the patriot cause. Even if untrue—it’s hard to know for sure—it is undeniable that Paine was an extremely recent convert to the cause when Rush convinced him in late 1775 to use his considerable writing talents to craft a case for independence. Paine responded with a medium length pamphlet (in my edition it’s about fifty pages long) that was rushed into print by January of 1776. To put this in context, the battles of Lexington and Concord had occurred the previous April, followed three months later by the Battle of Bunker Hill. Despite the reality of open war against British rule, popular opinion across the colonies was still divided, and although there were no opinion polls, it seems likely that a decided majority of Americans still hoped for a compromise in which the colonies would be granted greater autonomy over local affairs but remain part of the British Empire as loyal subjects of George III. Sentiment had begun to change even as Paine sat down to write. News arrived in the colonies that George III had rejected a petition from the Second Continental Congress pleading for reconciliation and had branded the colonists “rebels.” News followed soon afterward that the King had hired German mercenaries and intended to use them to subdue American resistance militarily. 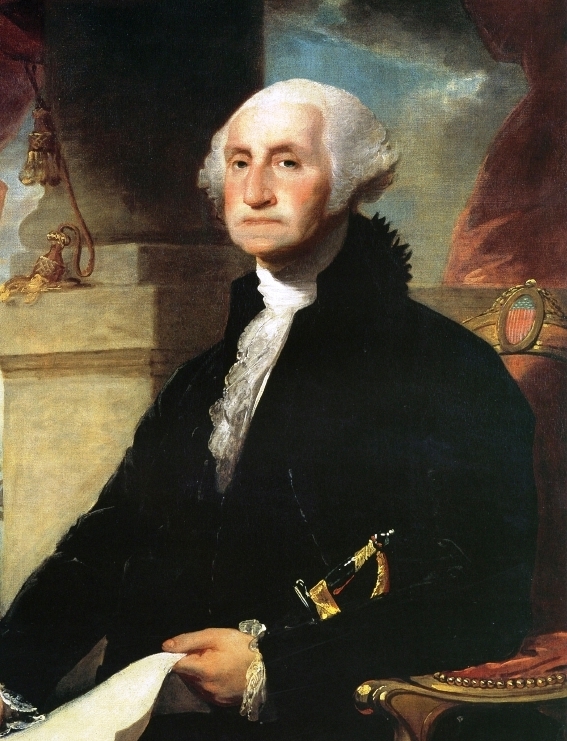 Then came reports from within the colonies that the governor of Virginia was actually inviting the slaves of disloyal masters to join the British Army and was offering them freedom in exchange for their aid in subduing their former owners. Although even now few dared to call openly for independence, the moderate argument for reconciliation was becoming more and more difficult to sustain. This was the setting when the first copies of Common Sense hit the streets at sixpence each. 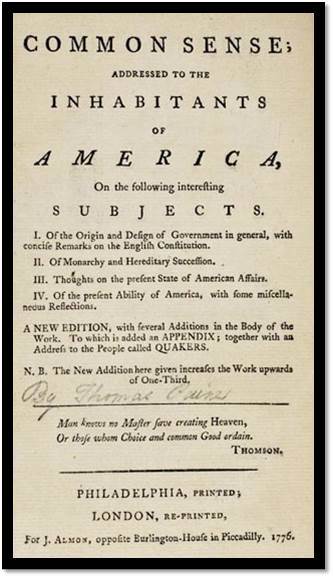 Within three months 120,000 copies were in circulation, and the number of colonists who actually read the pamphlet (or heard it read) was far larger. A rough estimate would be that by April 1776 one half of all the households in the colonies had a copy. For a comparable sensation, imagine a book released today selling forty million copies by Christmas! No, it was not Paine’s reason that made Common Sense a sensation. Two other factors were paramount. The first was the work’s accessibility. Most of the political literature of the period was written for a highly educated audience of elites, complete with historical references, literary allusions, and Latin quotations. Paine’s work was short, full of short sentences and short words that sent no one to the dictionary. * On George III: “a royal brute,” a “wretch” with “blood upon his soul” who wields “barbarous and hellish power” against his supposed children. Having denounced both Jesus and George Washington, Paine was now heartily despised by most Americans, to the degree that they remembered him at all. He eventually returned to the United States in the early 1800s—he had nowhere else to go—and eventually settled on a modest farm in New Rochelle, New York. There he lived in relative obscurity until his death in 1809. Most Americans now viewed him as a scoundrel and a self-promoter who turned on those who failed to support him. The author of the most popular political tract ever written in American history was laid to rest with no fanfare, and little mourning. It is understandable for American Christians to be curious about Christianity’s influence on the founding of the United States and its framework of government, but all kinds of historical snares await us when we explore the question. Even with the best of intentions, we will be tempted, subconsciously at least, to distort what we see in order to find what we are looking for. Like human beings generally, we naturally want to harmonize the various facets of our identity, in this case, to think of our loyalty to Christ as reconcilable with the other attachments that are important to us. For many American Christians, to be specific, this has translated into the insistence that the United States be viewed as a Christian nation built on Christian principles embodied in fundamentally Christian founding documents. When it comes to the Constitution, a common strategy has been to insist that the overwhelming preponderance of the Framers were Bible-believing Christians and that they actively sought divine guidance as they deliberated about the form that the new government should take. With this end in mind, numerous well-meaning Christian writers have been quick to re-tell the story of Benjamin Franklin’s plea for prayer in the midst of the Philadelphia Constitutional Convention of 1787. In his just-released book, If You Can Keep It: The Forgotten Promise of American Liberty, Eric Metaxas becomes the latest in a long line of amateur Christian historians unable to resist its allure. In a chapter titled “The Almost Chosen People,” Metaxas makes the story the centerpiece of his argument that the United States has a unique, divinely ordained mission to the world. The anecdote, Metaxas tells us, reflects the belief among “many of our founders . . . that they were being guided by an unseen hand” and that their success at Philadelphia was nothing less than a divine miracle. It was the summer of 1787, and 55 men had gathered behind closed doors in Philadelphia, Pennsylvania to try to create a new framework of government that might deliver the infant United States from a morass of difficulties: governmental impotence, contemptible military weakness, commercial anarchy, and financial disarray. Their quest “to form a more perfect union” was in jeopardy, however, as the clashing interests of northern and southern states and of large and small states were repeatedly thwarting efforts at compromise. “How has it happened,” Franklin asked, “that we have not hitherto once thought of humbly applying to the Father of lights to illuminate our understandings? . . . I have lived a long time,” the convention’s oldest delegate shared, “and the longer I live, the more convincing proofs I see of this truth–that God governs in the affairs of men. And if a sparrow cannot fall to the ground without his notice, is it probable that an empire can fall without his aid?” Franklin went on to make a motion that, from that point forward, each day’s proceedings begin with prayer led by some local clergyman. Let me interrupt the story a moment for a comment: There is incontrovertible evidence that this happened. It is not the invention of Tim LaHaye or Gary LeMar or David Barton or any other “Christian America” propagandist. We not only have Madison’s meticulous notes to corroborate it, but also evidence from Franklin himself. The aged patriot spoke rarely during the convention’s four long months, and knowing that he wanted to address the assembly on June 28th, he apparently wrote out the substance of what he wanted to say in advance, and the text, in Franklin’s own hand, survives to this day. This was an extraordinary moment that is also extraordinarily well documented. But the story didn’t end with Franklin’s brief speech, and this is where we start getting into trouble. In the mid-1820s—nearly four decades later—a legend began to form that Franklin’s proposal was met with near universal approval. Soon Americans were reading that, with but one dissenting vote, the delegates immediately embraced Franklin’s proposal and voted to take a three-day recess. For seventy-two hours they devoted themselves to prayer and fasting, and when they returned to their labors they discovered that all wrangling had ceased. Thanks to a new spirit of compromise and selflessness, the logjam was broken and the delegates readily crafted the remarkable document that forms the foundation of our political system to this day. Historians who have meticulously traced the origins of this part of the story attribute it to a man named William Steele, who in 1825 claimed in a newspaper article that he had heard the story ten years earlier in conversation with one of the lesser-known delegates to the convention, a politician from New Jersey named Jonathan Drayton. In other words, the story comes indirectly from a supposed eyewitness who waited nearly three decades to relate his experience to someone who waited another decade to write down what he was told. If the latter is true–that is, if he’s simply repeatedly a good story that he has come across without verifying it–then Metaxas is simply guilty of an offense that we’re all prone to. The most common temptation that we face when investigating America’s Christian past is not to dishonesty but to what I would call willful gullibility–the readiness to accept uncritically what we want to be true. All too often, popular Christian writers exploring the role of faith in the American founding write as if only secularists are susceptible to bias. Authors like Tim LaHaye, Gary DeMar, and above all, David Barton (who reprinted the Drayton/Steele account as fact in his book The Myth of Separation) present themselves as uniquely zealous in the search for truth. (To his credit, Metaxas does not do this.) Perhaps the most important moral of the story is that Christians can be “revisionist historians” just like secularists can. In my last post I offered a summary review of Eric Metaxas’ new book, If You Can Keep It: The Forgotten Promise of American Liberty. Metaxas believes unabashedly in American exceptionalism, although he is quick to disavow all forms of jingoism or triumphant nationalism. The United States is exceptional, he contends, because we have a unique mission—a divinely ordained, unique mission—to be a blessing to the other nations of the world. Although I’m sure he means well, the theological implications of this belief are enormous and appalling. One of my favorite historians of the American Civil War, Steven Woodworth, calls this blurring of the roles of the church and the nation “patriotic heresy.” In his book Bad Religion (which I reviewed here), New York Times columnist Ross Douthat echoes this critique, referring to such views as “the heresy of American nationalism.” Hugh Heclo, Professor of Public Affairs at George Mason University, writes in his book Christianity and American Democracy, “If America is the redeemer of nations and time, then America is the Christ of history,” Heclo writes. “This notion may be inadvertent, but it is blasphemy all the same.” This is not a minor concern. So what did Governor Winthrop mean when he told the Massachusetts Bay colonists that they would be “as a city on a hill”? The most common reading—Eric Metaxas’ reading—is that Winthrop was telling the colonists that God had given them a special mission. The colony they were establishing (and by extension, the future United States) was divinely destined to serve as an example to the world. God’s plan was for the new nation to model the values (religious, political, and economic) that He desired the rest of the world to emulate. Metaxas strengthens this interpretation by adding the adjective “shining” to the metaphor—“a shining city on a hill”—although we have Ronald Reagan to thank for that phrase, not John Winthrop. Admirers of this reading have been deeply convicted by the sense of America’s high calling that it embodies. In If You Can Keep It, Metaxas exhorts readers to rediscover this noble mission and rededicate themselves to it. Critics, on the other hand, have scorned the arrogance that Winthrop was supposedly reflecting and promoting. Both evaluations miss the mark, because both are based on a misreading of Winthrop’s original statement. In context, Winthrop was not remotely claiming that God had decreed a special mission for the political community that the Puritans were about to establish. For nearly a century, a minority of the members of the Church of England had believed that the English Reformation had not gone nearly far enough. Although they were openly critical of the established church, these “Puritans” had not withdrawn into secret “Separatist” congregations (as the group that we remember as “the Pilgrims” had done). Instead, they had hoped to cooperate with the state in purifying Anglicanism of surviving vestiges of Catholic hierarchy, doctrine, and ritual that they believed were unsupported by Scripture. Under Queen Elizabeth such an outcome had seemed possible, but the hopes for continuing reformation grew dim under her successor, James I, and vanished entirely when James was succeeded by the openly Catholic Charles I in 1625. The eventual result was what historians call the “Great Migration,” a massive relocation to New England of perhaps as many as 20,000 Puritans during the 1630s. In the technological context of the early 17th century, this was an undertaking of monumental proportions. In his sermon, Winthrop reminds his listeners of the seriousness of the undertaking upon which they had embarked. They were leaving England in search of a new home in which they could more effectively serve the Lord, increase His church, and distance themselves from the corruption of the English church that now seemed to them as beyond reformation. If their venture was to succeed, Winthrop stresses, the migrants must purpose to “love one another with a pure heart,” “bear one another’s burdens,” and be willing to sacrifice their “superfluities” (material surpluses) “for the supply of others’ necessities.” (Oddly, that’s a portion of Winthrop’s exhortation that almost never gets quoted.) If the Puritans failed in these particulars, the governor warned, they would almost certainly fail in their overall endeavor. This brings us, finally, to Winthrop’s famous phrase. Far from claiming that the Lord had chosen the Puritan migrants to serve as a glorious example to the world, Winthrop was instead reminding them that it would be impossible to hide the outcome if they failed. Their massive departure had unavoidably attracted the attention of the countrymen they left behind. They would be watching, many of them hoping that the Puritans would stumble. If Winthrop had been writing today, he could have conveyed his point by telling his audience that everything they did would be under a microscope. The point was not that they had been divinely selected to serve as an exemplary beacon, but rather that they could not possibly escape the scrutiny of their enemies. So it is that in the very next sentence after noting that “the eyes of all people are upon us,” Winthrop warned that “if we deal falsely with our God in this work we have undertaken . . . we shall be made a story and a by-word through the world.” In so many words, he was telling the migrating Puritans that they would become a laughingstock, objects of scorn and derision. 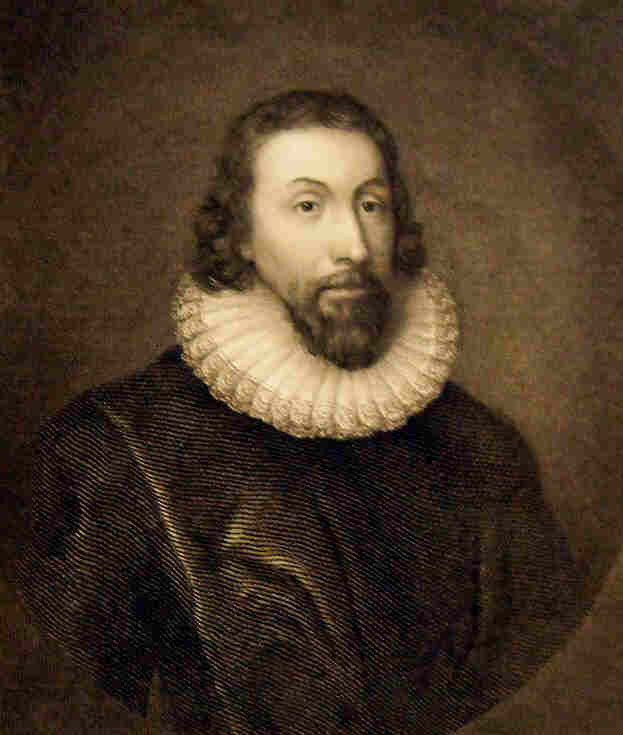 What was worse, their failure would “open the mouths of enemies to speak evils of the ways of God.” Rather than puffing up the Puritans with claims of a divine mission, Winthrop intended his allusion to “a city upon a hill” to send a chill down their spines. 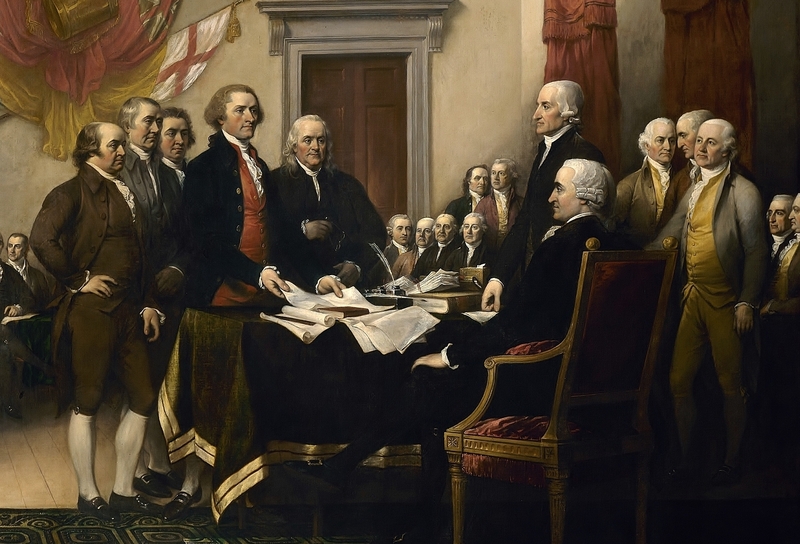 WERE THE FOUNDING FATHERS CHRISTIAN? For Christians interested in American history, probably no question looms larger than this one: Were the men who brought our nation into existence authentically Christian? This is not inevitable. There are a host of other questions that we could imagine rising to the top: Have America’s wars always been just? Was the defense of the Union scripturally justifiable? What should we think of American territorial expansion? Have we shown mercy to the strangers among us? How has America been influenced by the marketplace? What has been our record in dealing with the widow and the orphan? How should we rate our influence on the world? All of these should demand our attention if we’re really interested in thinking Christianly about our national heritage. None of them captivates us like the question of the religion of the Founders. It isn’t hard to see why. Over time we’ve come to impute enormous political significance to the question. The question of whether the Founding Fathers were Christian frames the story that we tell about our beginning as a nation. It becomes central to how we define our identity, not only with regard to our past—who were we?—but also with regard to our present and our future—who are we supposed to be? And so the debate over the religious convictions of a handful of eighteenth-century statesmen is now inextricably intertwined with contemporary debates over the place of religion in the public square. The past becomes proxy for the present. Predictably, the political stakes make the question almost impossible to approach objectively. Polemics abound. Historians—not to mention armies of politicians, pundits, and preachers—have spilled oceans of ink in addressing the question. But despite some notable exceptions, the debate on the whole has generated way more heat and hyperbole than light and nuance. As is so often the case, the extremes command the most attention. Want to attract a large following? Be dogmatic and simplistic. Nearly two centuries ago Alexis de Tocqueville laid out the winning formula in Democracy in America: “A false but clear and precise idea always has more power in the world than one which is true but complex,” Tocqueville observed. He was dead on. The result is a stark dichotomy: One side insists that the Founders were born-again believers, men of Christian faith guided by Christian principles to establish a Christian nation. The other side contends that they were apostles of the Enlightenment, radical skeptics determined to purge public life of every whiff of religious superstition and “bigotry.” You can take your pick, in other words, between the Founding Fathers as forerunners of the Moral Majority or as ancestors of the ACLU. Given the explosiveness of the topic, the safest course is simply to steer clear of it. Barring that, the next smoothest path is to preach to the choir—pick a side and beat the drum for it. Those on the other side will mostly ignore you, while those who agree with you will welcome the affirmation. Few of us relish having our prejudices challenged; not many of us mind having our prejudices confirmed. Historian Gregg Frazer has not chosen the broad and gentle path. Instead, he has written a book that will offend almost everyone invested in the debate, save a handful of scholars. I recently read his 2012 book, The Religious Beliefs of America’s Founders: Reason, Revelation, and Revolution. The author, professor of History and Political Studies at the Master’s College in Santa Clarita, California, wants nothing to do with either extreme. On the book’s very first page he throws down the gauntlet: “I want to force extremists on the Left and on the Right to make the case for their vision of what America should be on its own merits,” Fraser writes, “without hijacking the fame of the Founders and without holding their reputations hostage to causes of which they would not approve.” It’s a courageous objective, and he’s written a worthwhile book. I commend it to any thinking Christian interested in the American past. Frazer arrives at two key conclusions. 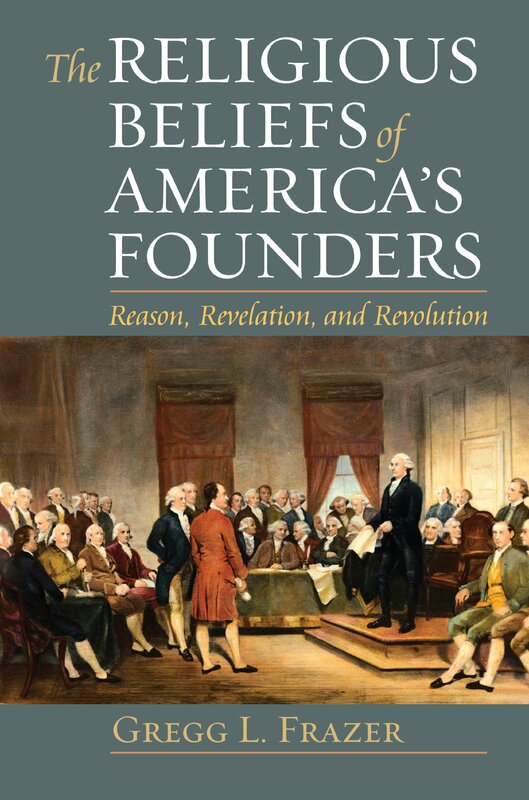 First, concerning the religious beliefs of the Founding Fathers: Frazer determines that the leading Founders were not Christian in any orthodox sense, as the Christian America propagandists would have us believe, but neither were they liberal Deists, as secular academics so often insist. Indeed, no existing category satisfactorily captures the constellation of convictions that Fraser discovered, so he created a new one: theistic rationalism. According to Frazer, “Theistic rationalism was a hybrid belief system mixing elements of natural religion, Christianity, and rationalism, with rationalism as the predominant element.” [Rationalism is a philosophy of knowledge that makes human reason the ultimate arbiter of all truth claims.] If we were to imagine a continuum of religious belief, theistic rationalism would fall somewhere between orthodox Christianity (defined by historic confessions such as the Apostles’ or Nicene creeds) and Deism. The latter is a slippery concept. Deism in the late-eighteenth century was not embodied in a formal denomination. It had no official creed or confession, and I’ve come across a range of definitions of it in my reading. I can’t say that Frazer’s understanding of Deism is the right one, but I do applaud him for offering a precise definition up front. Deism, as Frazer defines it, has two distinguishing characteristics: The first is the belief in an absent God, a Deity who takes no active role in his creation. There is no logical reason to pray to such a God or to expect this watchmaker Creator to intervene in human affairs. The second distinguishing feature, which follows logically from the first, is the rejection of the very possibility of what theologians call “special” (as opposed to “general”) revelation. The God of Deism does not speak to humankind except through the order inherent in the natural world. The key Founders that Frazer studied rejected both premises. Their correspondence suggests that they believed that parts of the Bible are inspired. They prayed for God’s assistance, they praised God for His deliverance, and they believed in (or hoped for) an afterlife. Whenever scripture and reason conflicted, however, reason trumped revelation. The Founders’ rationalism led them to deny original sin, hell, the virgin birth, the Trinity, the resurrection, and miracles in general. So what does this mean for contemporary cultural debates over the Founders’ religious beliefs? To a degree that would make the ACLU shudder, the Founders agreed that “the morality engendered by religion was indispensable to society.” But they simultaneously believed that “many—perhaps all—religious traditions or systems were valid and led to the same God.” They were NOT Christian—Frazer emphasizes this repeatedly—and it is a libel on Christianity when David Barton and others insist that they were. Frazer stresses that theistic rationalism was primarily limited to intellectual elites and “never became the property of the masses” during the era of the American Revolution. It did find considerable voice among colonial pastors, however, and was widely trumpeted from the Revolutionary pulpit. While “Christian America” proponents exult in the degree to which American ministers backed the cause of independence, Frazer finds in that pattern distressing evidence of the Church’s conformity to the world. In a section on ministers’ biblical exegesis, Frazer reviews published sermons to show that patriot preachers regularly interpreted passages pertaining to spiritual liberty as if they were meant to apply to political liberty. They regularly appealed to reason. They frequently stressed the Lockean construction of the state of nature. They accepted uncritically the Enlightenment understanding of popular sovereignty, despite its implication that God, not the people, is the ultimate source of political authority. Finally, they repeatedly spoke of God-given natural rights, despite the Bible’s conspicuous silence on the topic. I would qualify these claims a bit more carefully. I don’t believe that many colonial pastors consciously compromised with religious orthodoxy because it was politically inconvenient, any more than I am persuaded that either side in today’s culture wars is consciously embracing a position that it doubts to be true. I think instances of that are probably pretty rare. The temptation that most of us face is not to dishonesty but to what I would call willful gullibility—the readiness to accept uncritically what we want to be true, whether we’re talking about the teaching of Scripture or the lessons of history. Frazer’s book is a sobering reminder of just how powerful that temptation can be. Were our Founding Fathers devout Christians determined to create a Christian commonwealth grounded on biblical principles? Or were they secular sons of the Enlightenment who hoped to banish orthodox Christianity from the public square? This Fourth of July, combatants on both sides of the culture wars will gravitate to one or the other of these extremes as they remember our nation’s birth. It’s a horrible dichotomy that demands that we choose between two equally untenable positions. A more defensible position rejects both of these all-or-nothing claims. As Matthew L. Harris and Thomas S. Kidd observe in their anthology The Founding Fathers and the Debate Over Religion in America, “None of the Founders were atheists . . . but none of the most famous Founders were ‘evangelical’ Christians of the sort produced by the Great Awakening, either.” Many of the Founders were significantly influenced by the Enlightenment, most notably in their frequent willingness to let reason trump revelation when they seemed to be in conflict. On the other hand, as Harris and Kidd note, “hardly anyone during the revolutionary era doubted that religion, and especially moral virtue, was important to the life of the new American republic.” Citing such complexity, they conclude that any broad generalization of the Founders as either “secular” or “Christian” is problematic at best. 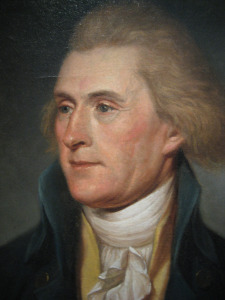 Thomas Jefferson was not necessarily a representative Founder in his religious views, but he did embody the complexity that Harris and Kidd point out. Since we’ll shortly be celebrating the anniversary of his handiwork–the Declaration of Independence–it makes sense to revisit a few samples of his thinking. In sum, the primary author of the Declaration of Independence was no atheist, nor was he committed to a wholly secular public sphere, but neither did he believe that Jesus was the Christ. So where does this leave us? Somewhere, I think, between comfortable but false extremes. 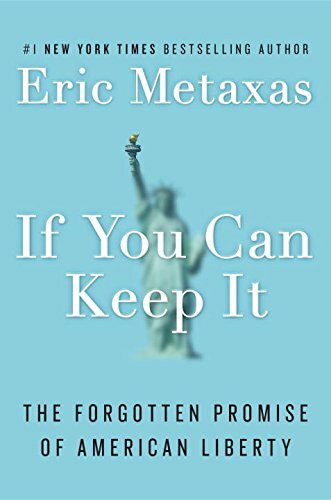 Independence Day is almost here, so I thought I would share a few thoughts about the latest book from Eric Metaxas, just out this month: If You Can Keep It: The Forgotten Promise of American Liberty. If you’re not familiar with him, Metaxas is a “cultural commentator” or public intellectual, a best-selling author, and the host of a daily radio program, “The Eric Metaxas Show.” The book’s title comes from a (possibly apocryphal) observation from Benjamin Franklin at the conclusion of the 1787 Constitutional convention in Philadelphia. As the story goes, an interested citizen approached the aged Franklin and inquired, “Well, doctor, what have we got? A republic or a monarchy?” Franklin is supposed to have answered, “A republic, madam–if you can keep it.” Metexas builds on Franklin’s words to underscore the fragility of liberty and to make a case for how Americans might best nurture it today. The book offers some timely reminders, but its grasp of American history is weak, and the theological implications of its argument are frightening. Read on, if you want to learn more. The inside flap of the book jacket of If You Can Keep It describes the work as “an extraordinary book that is part history and part rousing call to arms, steeped in a critical analysis of our founding fathers’ original intentions for America.” This is partially true. It certainly makes a semi-historically-informed argument about what America should be in 2016 and how that might be accomplished. And so yes, it is “part history and part rousing” exhortation to its readers. (The “call to arms” phrase is misleading, as Metaxas consistently, and appropriately, avoids appeals to “take back America” and similar phrases borrowed from the culture wars.) But the claim that the book offers “critical analysis” of the values and worldview of the Founders overstates the case, and by more than a little. 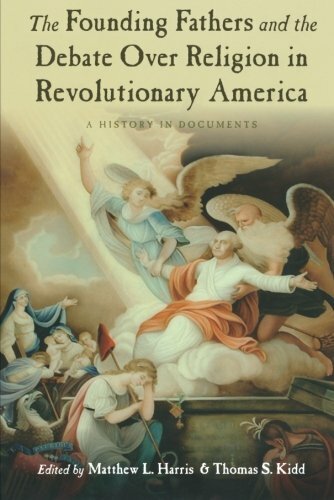 The book is sprinkled with valuable food for thought and more than a few important historical truths, but these are offset by egregious flaws, including both serious misunderstandings of colonial and Revolutionary America and a dangerous conflation of the nation and the Church. In the end, I cannot recommend If You Can Keep It, although it contains elements that are worthy of our attention. Let’s start with what is good. Metaxas asks undeniably important questions. (What did “America” mean at the founding? What did the Founders believe in and hope for? How might the promise of America be furthered by our own generation?) He writes for a broad audience, rather than for other cultural elites. He dares to bring a faith perspective to bear, not hesitating to acknowledge his own Christian commitments. He values the insights of history and wants to bring the present into conversation with the past. None of this is surprising given his previous books, most notably his popular biographies of Dietrich Bonhoeffer and William Wilberforce. Boiled down, Metaxas has two main points to make, and each is worth making. First, liberty is fragile, and we must perpetually dedicate and rededicate ourselves to nurture and preserve it. This was essentially Abraham Lincoln’s 1838 message to the Young Men’s Lyceum of Springfield, an address that I blogged about extensively at the beginning of the summer. (See, in particular, here and here.) The survival of American democracy is not inevitable. We cannot take it for granted. And should it ever collapse, we Americans will be far more responsible for that tragedy than any external foe. Second, the Founding Fathers knew exactly what was necessary for government of the people, by the people, and for the people to survive and flourish. (For some unknown reason, Metaxas repeatedly refers to the Founders’ “secret formula,” although the Founders were not remotely coy about what their experiment in liberty would require to succeed.) Here Metaxas basically reiterates what Os Guinness calls the “golden triangle of freedom.” Like a three-legged stool, it has three equally essential components. The Founders believed that (1) freedom requires virtue, (2) virtue requires religious faith, and (3) religious faith requires freedom. We could complicate these generalizations greatly, but the basic pattern is historically sound. Guinness made the case well in A Free People’s Suicide (which I reviewed here) and although Metaxas does little more than restate it, I suppose you could say that we can’t hear such a crucial reminder too often. Metaxas also makes a compelling case for the importance of civic ceremonies, especially at the local community level. Perhaps reflecting his background as an English major at Yale, Metaxas also offers some intriguing suggestions about the importance of literature for building civic-mindedness, and he remembers fondly the old days when schoolchildren memorized historical odes like Longfellow’s “The Midnight Ride of Paul Revere.” (There are echoes here of William Bennett’s Book of Virtues.) Tying all these suggestions together is Metaxas’ belief that Americans need to fall in love again with America. As I said, there is much food for thought here, and there would be worse ways to celebrate American independence than pondering Metaxas’ exhortations. And yet the book’s flaws are huge. I could go on at some length, but instead I’ll zero in on the two most glaring problems: (1) Metaxas repeatedly misrepresents the values of colonial and Revolutionary Americans which he looks to for wisdom, and (2) he consistently blurs the line between sacred and secular, conflating Christianity and democracy and confusing the role of the Church with the purported “mission” of the United States. This is astoundingly incorrect. The Pilgrims did not come to America “because they were being persecuted for their faith,” nor were they remotely committed to religious freedom in the colony that they established. 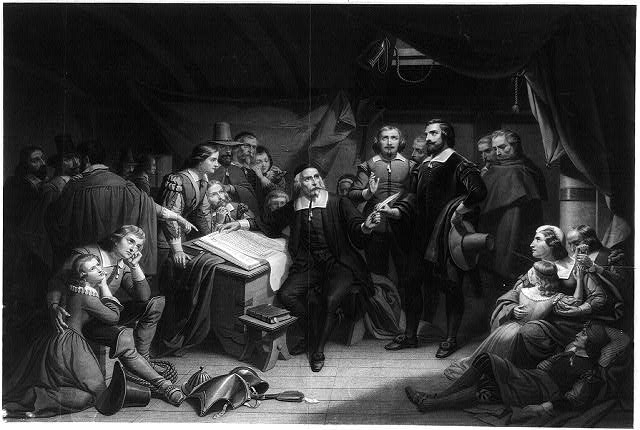 The laws of Plymouth Colony prescribed fines or corporal punishment for neglecting public worship, for swearing or cursing by the name of God, for “vilifying” any church ministry or ordinance, for denying “the Scriptures to be a rule of life,” and for hosting or entertaining Quakers, whose heterodox beliefs would get them banished. Although the trend over the next century and a half would be toward ever greater religious toleration, as late as 1776 most of the thirteen colonies still had government-recognized, legally established denominations, and long after the creation of the Constitution most states barred atheists (and sometimes Jews) from holding office. This was not hypocrisy or inconsistency on their part, but rather reflects the reality that they understood religious liberty very differently than we do. * Second, the author also exaggerates the Founders’ commitment to democracy and faith in popular virtue. He is right that the Founders believed that “in the wrong hands [freedom] can be positively dangerous,” but it is misleading to claim simply that “the founders knew and trusted that the citizens . 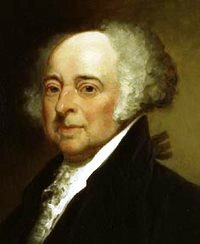 . . were prepared for what they had been given.” As James Madison noted in Federalist no. 55, republican government (i.e., government grounded in the consent of the governed) intrinsically presupposes a greater confidence in the people than monarchy does, but the Founders’ understanding of human nature is best described as skeptical: hoping for the best, but keenly aware of humans’ fallenness and foibles. The Constitution’s framers went to great lengths to limit the popular influence of the governed, and then they instituted elaborate checks and balances to mitigate the abuse of power by the government itself. I have noted before that Winthrop’s statement to his congregation that “we shall be as a city on a hill” is one of the most misunderstood phrases in American literature, and Metaxas, like so many before him, gets it wrong. To begin with, he alters the quote, repeatedly suggesting that Winthrop referred to his colony as “a shining city on a hill.” The adjective was added by Ronald Reagan three and a half centuries later, and it wholly changed Winthrop’s meaning. The Massachusetts Bay governor was not declaring that the colony would be a model to the world, but rather that however it behaved—whether nobly or meanly—its success or failure could not be hidden. What is worse, Metaxas entirely passes over the reality that Winthrop was not remotely talking about the mission of a future nation-state but about the particular Christian community that he led. This conflation of the church and the nation characterizes the rest of the book. In defining (and I would say, exaggerating) the cultural influence of evangelist George Whitefield, Metaxas says that Whitefield’s preaching had the effect of turning colonists into Americans. To be an American (not a Christian, but an American), was to accept certain religious truths about one’s status in God’s eyes. As Metaxas concludes in summing up Whitefield’s significance, “the Gospel of Christ . . . created an American people.” Strange, I somehow thought that Jesus promised to build his Church on that foundation, but I guess he meant the United States. Although Metaxas focuses on the colonial and Revolutionary eras, he does allow Abraham Lincoln to join the conversation as well. As it turns out, Lincoln agreed with John Winthrop that the United States has a “holy calling” to be an example to the world. Minimally encumbered by evidence, Metaxas notes that Lincoln understood that “America had been called by God,” and that “to be chosen by God—as the Jews had been chosen by God, . . . and as the messiah had been chosen by God,” was a “profound and sacred and even terrifying obligation.” I’m not sure which is scarier: the analogy of the United States to Israel—God’s new chosen people—or the analogy of the United States to Christ.